Interested to learn German Long and Link Stitch Binding? 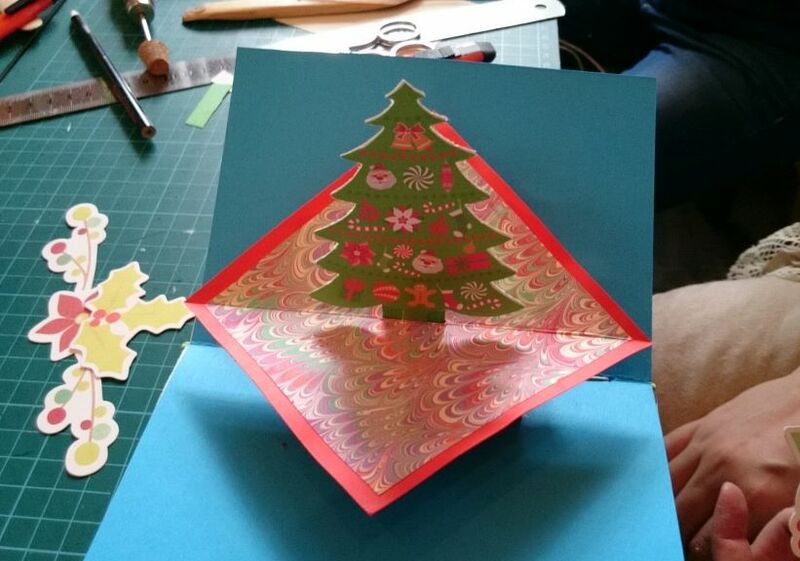 Join The Thistle Bindery’s March workshops. 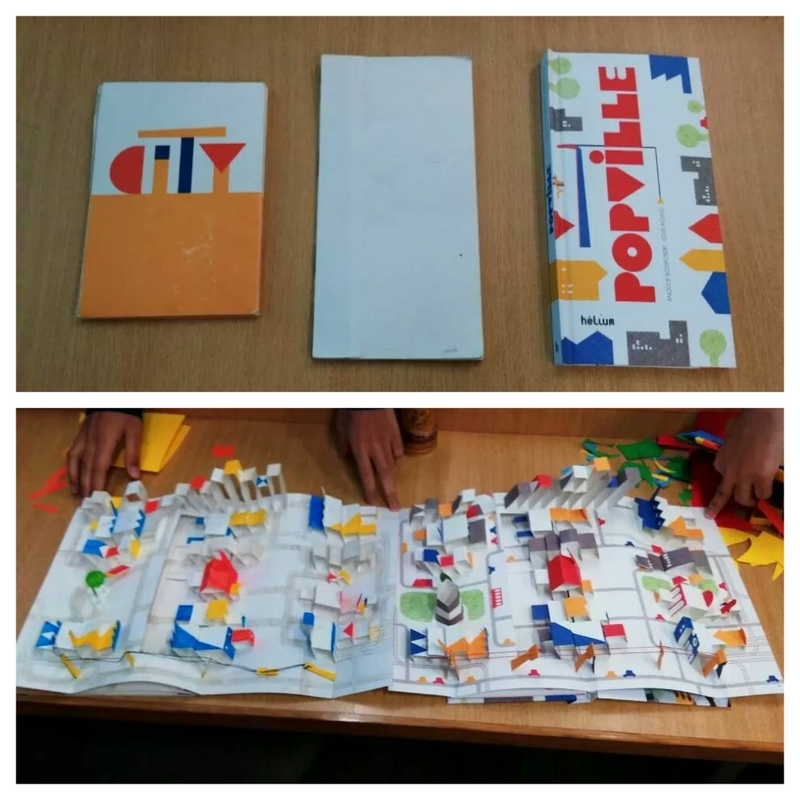 Learn a new skill and contribute to a good cause at the same time. 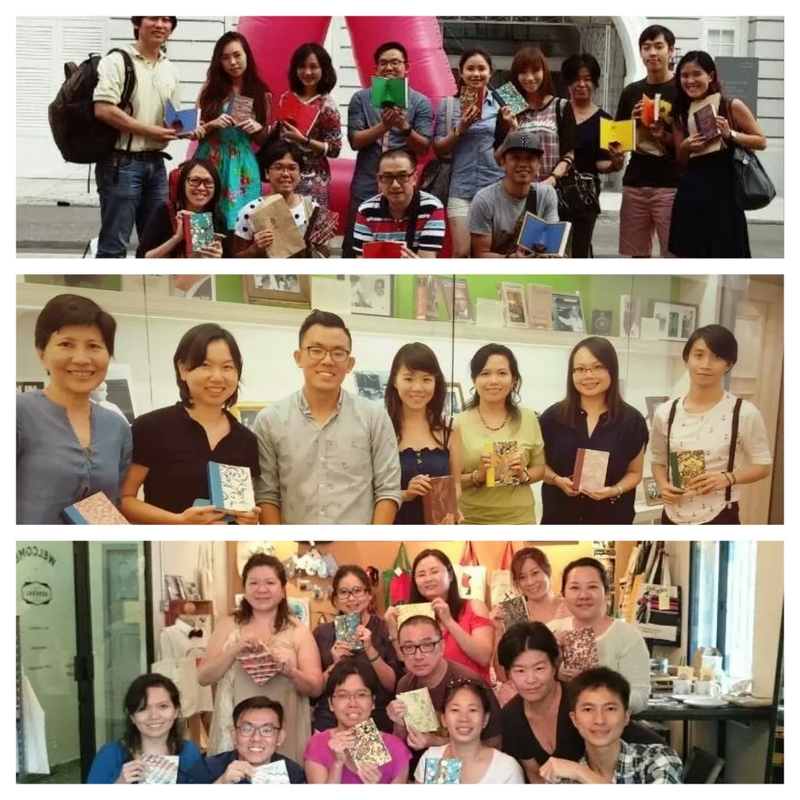 Proceeds from [A Bookbinding Cause] series of workshop will be donated to Loving Heart Multi Service Centre. First times are always memorable. More so when there are quite a few firsts for today. 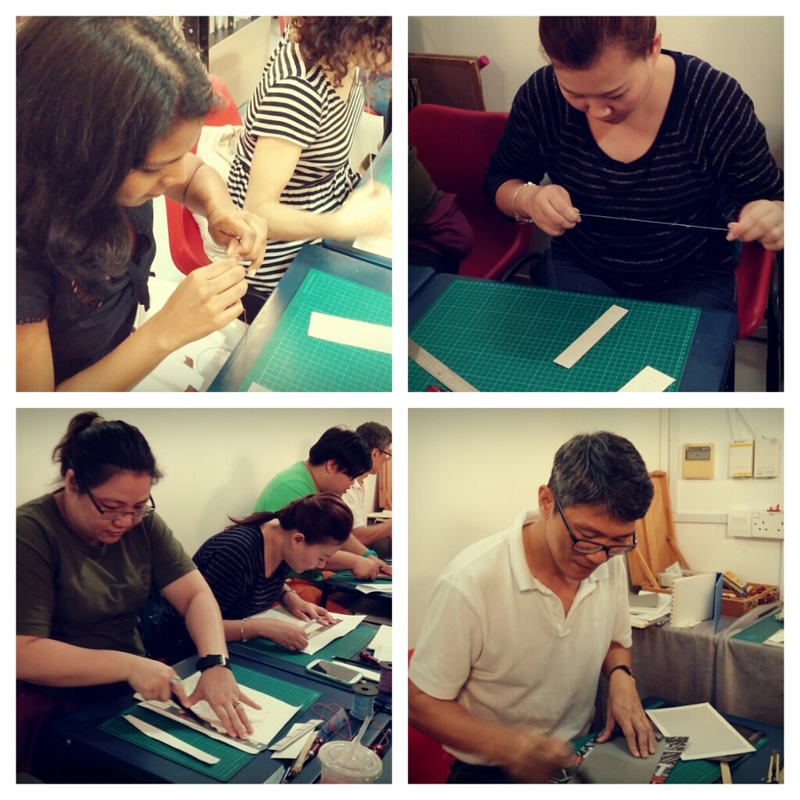 Firstly, this is the first bookbinding workshop conducted at GOHD Books, probably the only antiqurian bookstore in Singapore. 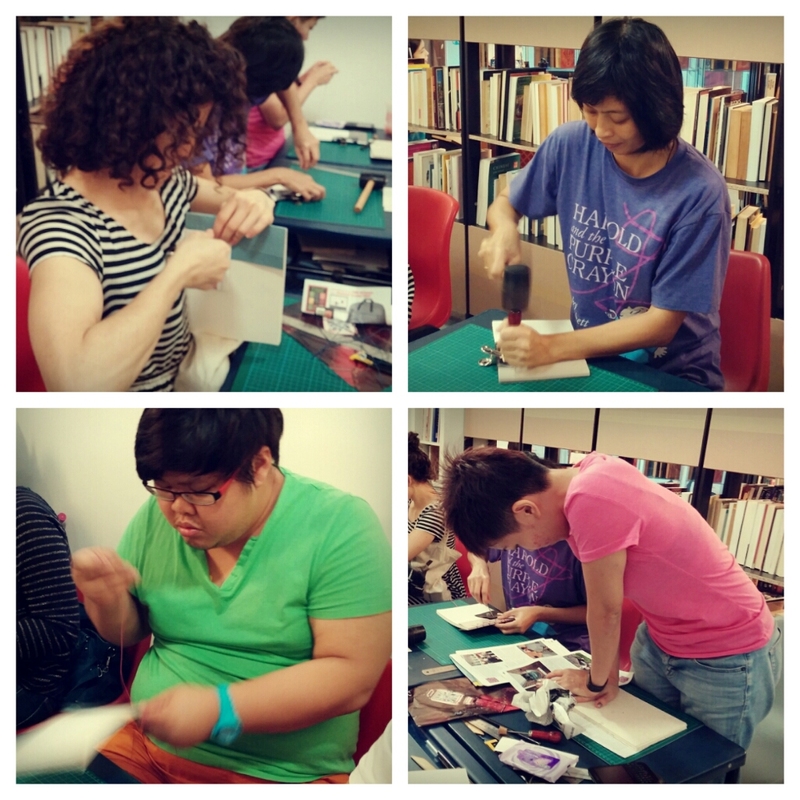 The participants for today’s Hidden Stab Binding workshop enjoyed it tremendously by the way. The space is intimate and cosy for the group of nine of us. 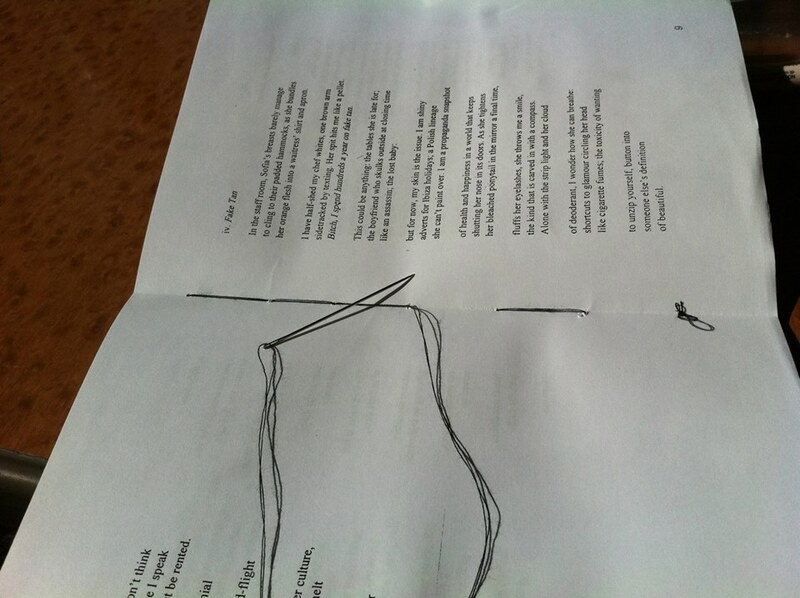 I am always feeling jittery when I teach at new venues. There is a sense of unfamiliarity with where I have placed my tools and materials, but my nerves were soon soothed and the workshop got off to a good start. 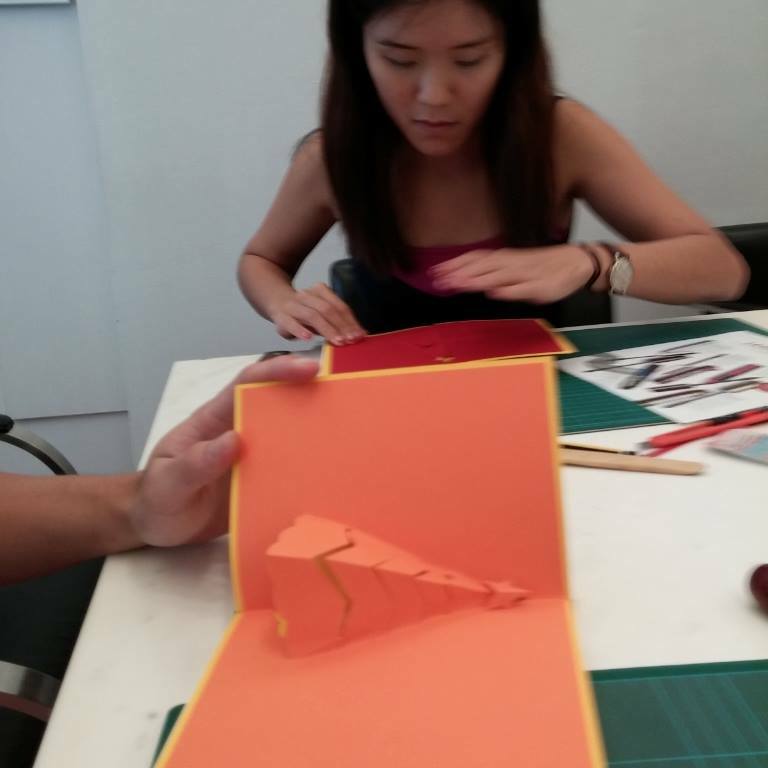 And yes to emphasise, secondly, this is offically the first workshop in our second season of [A Bookbinding Cause]. I did not feel well for the workshop the day before and had to cancel it armt last minute’s notice. (Many apologies to those affected). 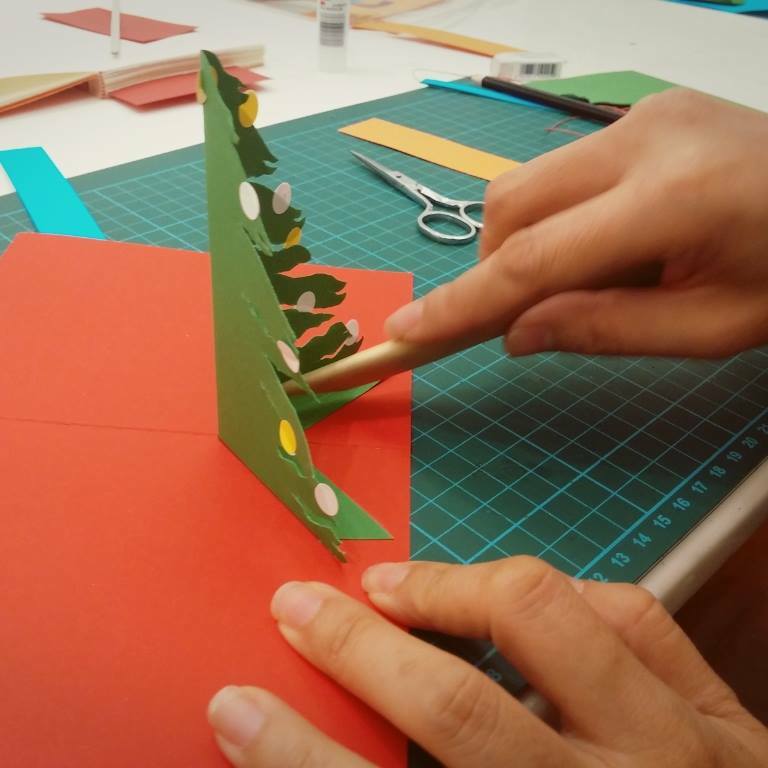 Once the workshop got underway, participants were brought through the process of identifying parts of a Japanese Stab Binding book, deckling paper, making the book covers and folding the spine card. Once all the preparation were completed, everyone launched into the stabbing of the book block with gusto. 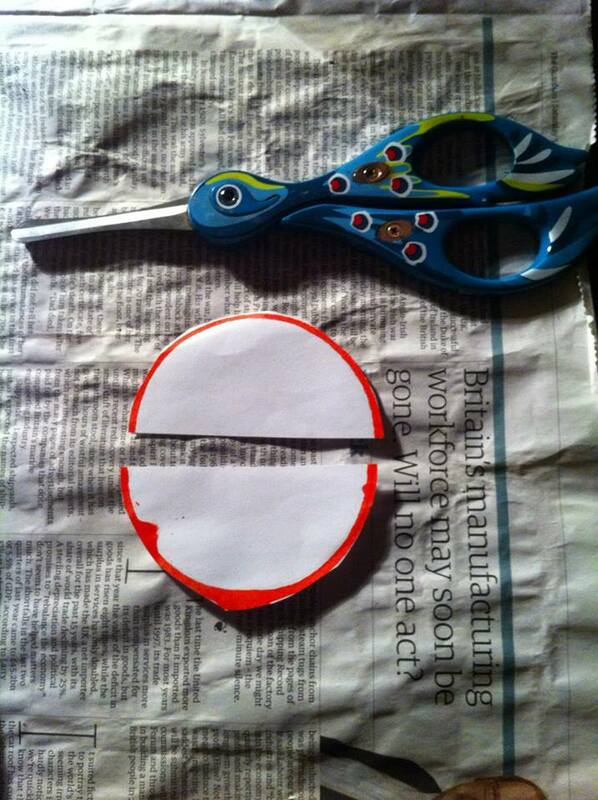 This must be the first time anyone had asked them to stab or drill holes through such a thick pile of paper! 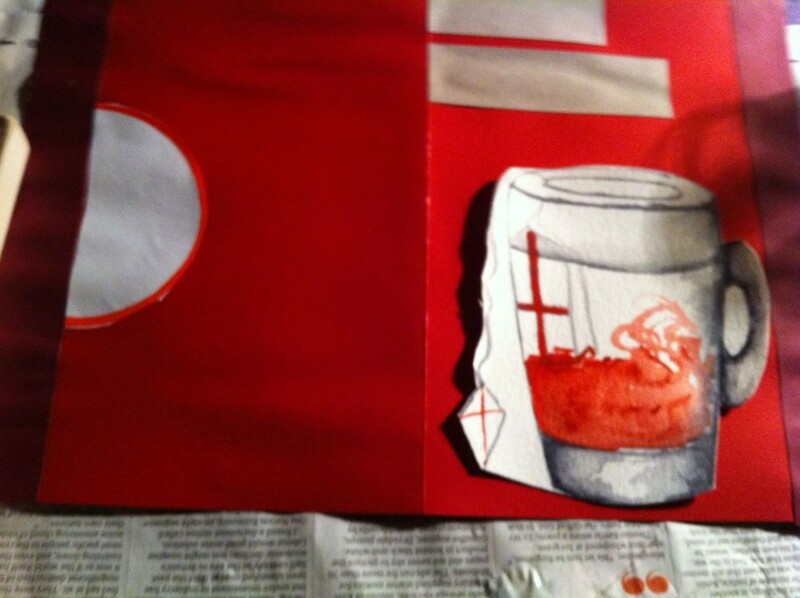 With the holes made, the completion of the book was not far away. 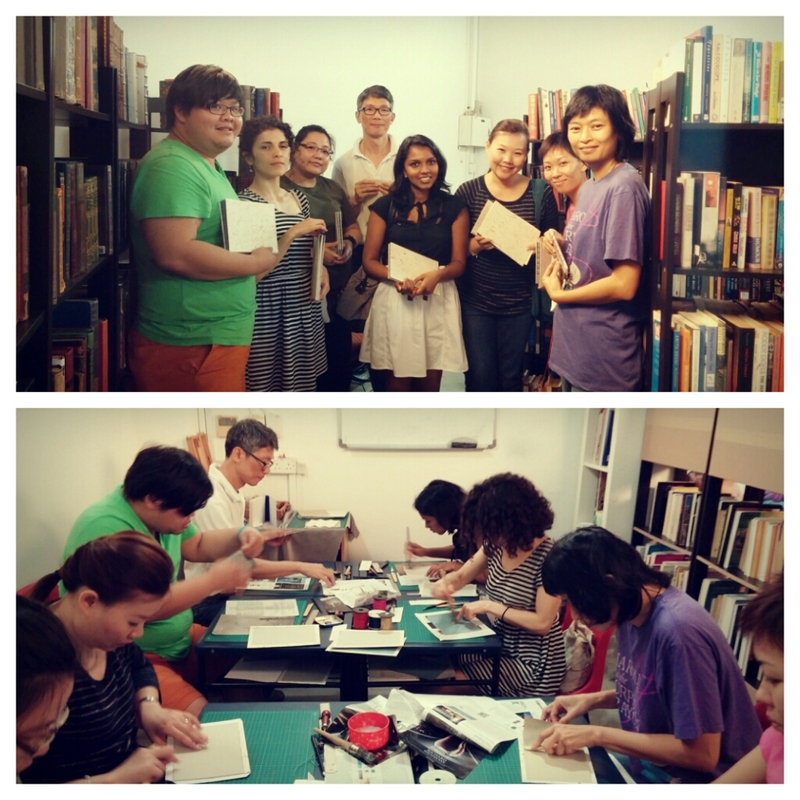 Before long, everyone had finished their first Hidden Stab Binding book, sewn with a double overcast stitch. 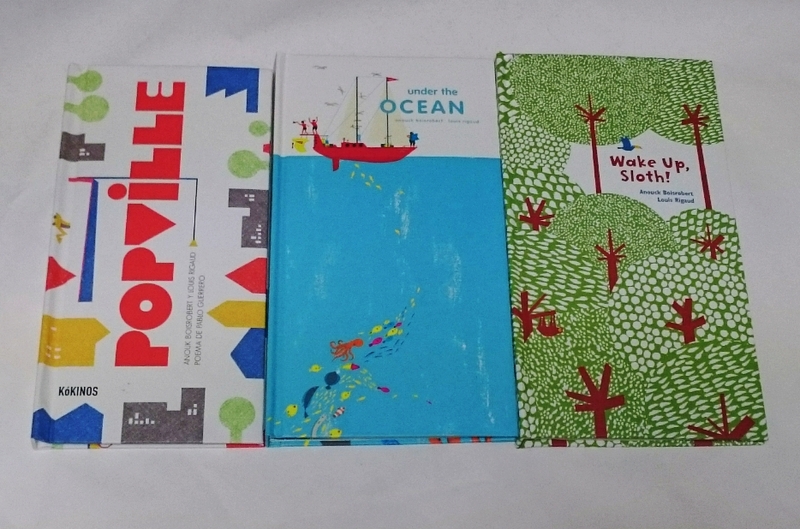 Oh yes thirdly, this is also the first time Thistle Bindery is using decorative papers made of natural materials such as Sa (mulberry), bamboo bits and rice husks for the covers. 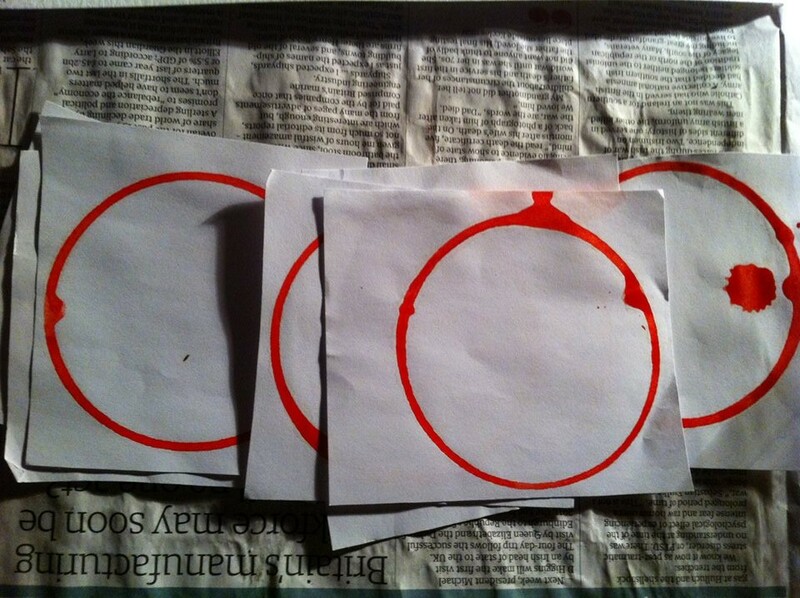 These papers were bought from HQ Papermakers in Chiangmai, Thailand. Take a look at their website if you love different types of papers. 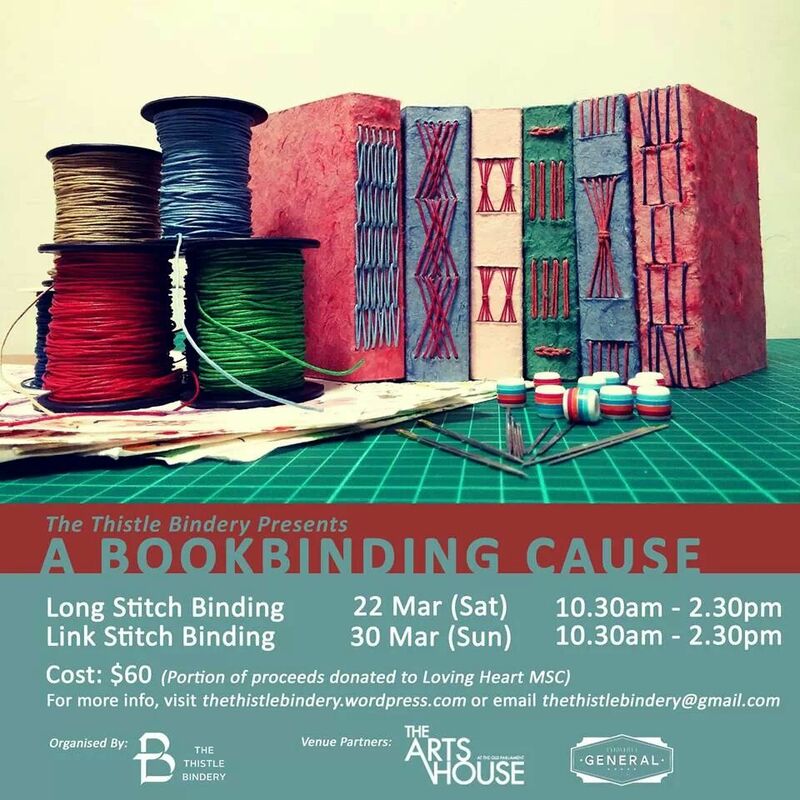 And yes, do look out for future bookbinding workshops conducted by The Thistle Bindery under its [A Bookbinding Cause] series. The next workshop will be conducted in March 2014. So first things first, do “like” our Facebook page and keep up to date with our latest updates.